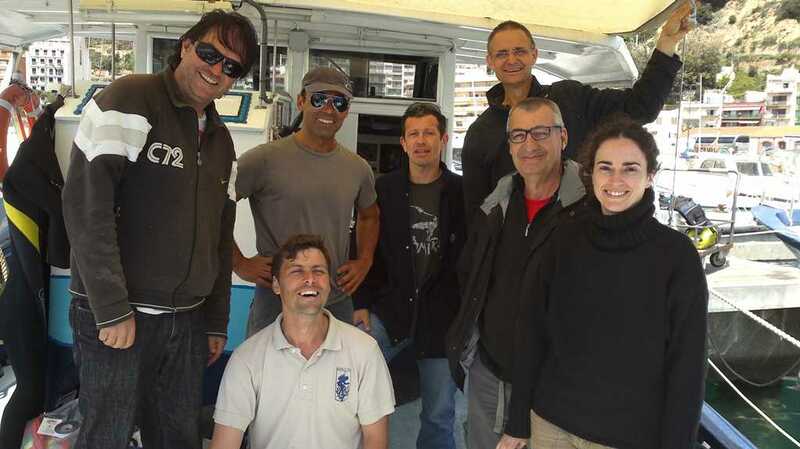 The work team v.1: Ramón Muñoz, Ferran Crespo, Didac Catalan, Manel Bolivar, Eduardo Muñoz, Raimon Cartró and Mariona Freixa. 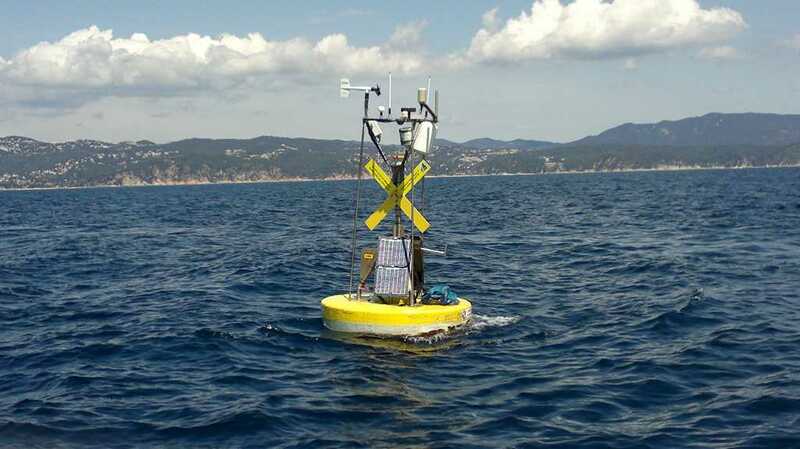 Last Thursday 2nd May 2013, the excellent marine and weather conditions allowed the meteo-oceanographic buoy was deployed again with all instrumentation aboard. At present, the telemetry and data acquisition systems for all the meteorological and oceanographic sensors (see the latest data ) including the submarine fish-eye camera (see the latest photos) are fully operational. A number of changes in the buoy components were carried out during the four months that it remained at the Blanes port. Firstly, the 9-year-old datalogger Campbell CR10X was replaced by the newest version, a CSI CR1000 datalogger, after failing to transmit data from the port by Christmas time. The buoy was taken to the port once rescued after a mooring line cut left the buoy adrift by 22nd Dec 2012. The installation of the new datalogger made the telemetry to fail through the telephone landline so far operating with a US Robotics modem. Thus, both the landline and the USB modem were replaced by a mobile telephone. The mobile telephone is now permanently connected to the server collecting the data from the datalogger. We considered that installing the new datalogger deserved also installing a new modem (Fastrack xtend) required for the datalogger to send the data to the land server via mobile telephone data call (via GSM). This way, the age of the datalogger and the modem will remain the same, thus providing us with a bit more confident for telemetry functioning. We also took advantage of installing the new Fastrack modem to change the telephone card (and the numer of the dataline) so that all the communication system was renewed (except the antennas). Finally, the submarine camera (Vivotek) is now attached to a removable device close to the surface thermosalinograph with an improved clamping system. Nevertheless, we moved the camera too much down toward the bottom of the buoy structure and it's now quite close to the buoy structure. This made the camera's field of view to be narrower in comparison with the previous vision angle. We will try to widen the camera field of view in future. Substituting the data logger also implied to updte the Loggernet software allowing data telemetry to a server at CEAB's facilities. The new datalogger with a new software read differently the data collected from the 23 probes and sensors in the buoy. Thus, a new program installed in the datalogger to properly collect and transmit the data was written and tunned for this purpose. The produced data table showed a new format. The new format of the table with all data from the instruments, containing a total of 117 columns collected every half an hour, required that the Matlab program in charge of reading, processing and publishing the data on the website was modified accordingly. As some users had claimed to visualise the data provided by the buoy instrumentation in a table form and not as data plots, we took note about this and made the change. Thus, currently the last data (magnitudes) are visualised in a table and then the user can choose to visualise the last 24 hour data plots. The change for the web users to access the data did not work in the old host server because of its old HTTP Apache Server program version. Thus, we were required to move the Observatory website from the old server to a newer server holding the latest Apache version. We took advantage of this requirement and created a new easier access subdomain (http://www2.ceab.csic.es/oceans) for the Observatory website. Summaring, within a four month period we designed, prepared and installedl a new mooring line (see details on this operation here) and also performed a number of technical improvements on the buoy communication system. We expect this improvements will guarantee the data collection and transmission in near real time for a long period. We want to thank Eduardo Muñoz and Ramón Muñoz (Electric Workshop at the Blanes harbour) for their interest and effort to provide solutions to the problems faced with the mooring line (also with the help of Didac Catalan) and the buoy electronic and communication system. Mónica Filella (EMS) kindly and paciently assisted all the process of the datalogger replacement and programming up to get the expected functionality. Ramón Coma at CEAB provided access to the servers at CEAB and made possible a proper telemetry with the modem transmitting data from the datalogger and the modem transmitting images from the OOCS webcam system. 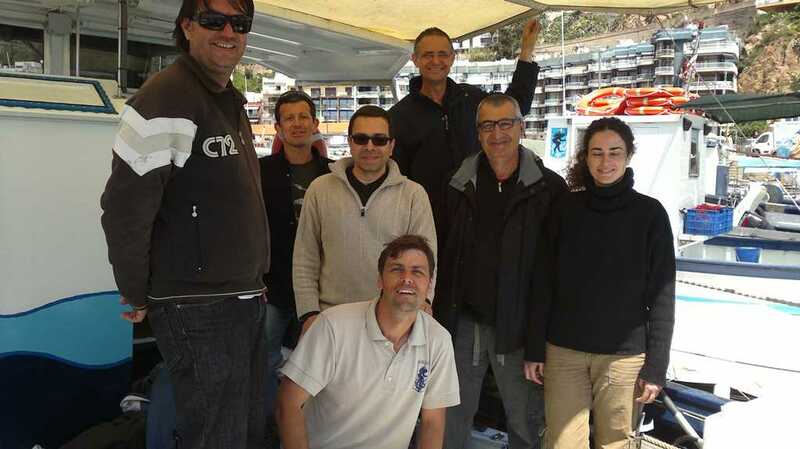 Manel Bolívar at CEAB and Dìdac Catalan (dive center "Blanes-Sub") assisted the mooring preparation and deployment as well as the buoy deployment. Ferran Crespo, the Dolores' skipper and Manel Bolivar were crucial for performing the deployment operations. David Alenya, a member of the Communications Committee at CEAB is kindly acknowledged for his interest and preparation of an educational video regarding the Observatory activities. 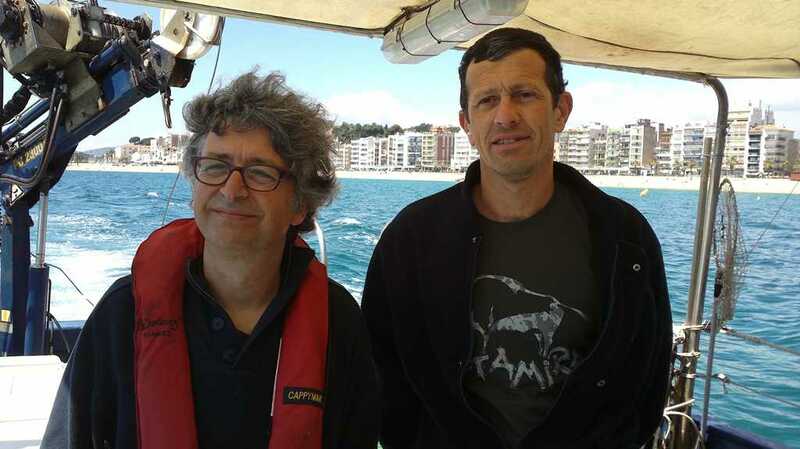 Mariona Freixa and Raimon Cartró, were reporters on board covering the buoy deployment operation. Thanks to them we finally got high quality multimedia material far beyond the quality provided by our not very professional video cameras! We also want to thank to all those who were following our activities and offered to participate if required (María, Yaiza, Francesco, Gustavo, etc). Nixon Bahamon coordinated all the activities.